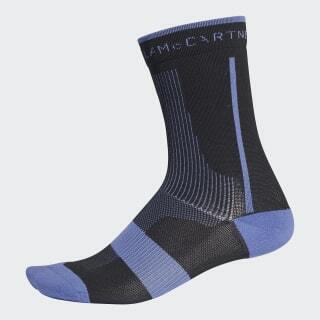 Lightweight and stretchy running socks with added support. Designed in collaboration with Stella McCartney, these crew socks offer built-in arch and ankle support. The bold block print shows off Stella's sophisticated eye for detail.